Telecom equipment provider Solid that had acquired Pantech in 2015 said Friday it signed an agreement with special purpose company K&A Holdings to sell Pantech for 10 million won ($8,841), ending the history of the once-hotshot Korean mobile maker. Solid had a 100 percent stake of Pantech, which is around 110 billion won in debt as of June. Under the deal, Solid is set to ditch Pantech’s business after suspending its smartphone business in May and selling its Internet of Things business earlier this month. “The sale was inevitable because Solid’s shareholders, creditors and potential investors continued to call for financial separation from Pantech due to Pantech’s worsening management,” a Solid spokesperson said. 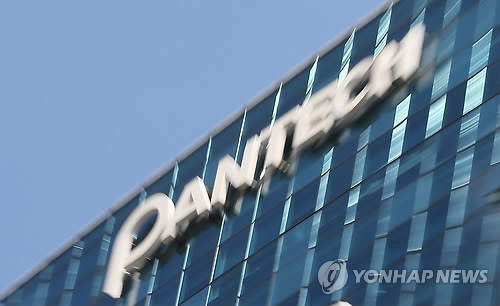 Pantech was once ranked as the world’s seventh largest smartphone maker and the nation’s third largest one following Samsung and LG. However, due to the lack of innovation, financial firepower and lower reputation than tech moguls such as Samsung and LG, it was on its way down -- despite having a number of advanced patents and technologies. It ended up filing for a corporate workout twice in 2007 and 2014. In December, 2015 Pantech appeared to grab a second chance after being acquired by Solid that sought a breakthrough by focusing on smartphones, IoT and patent business. As part of that breakthrough, Pantech unveiled its new IM-100 smartphone in June of last year. Despite the initial traction of the smartphone, Pantech ended up losing a battle with large handset makers. It then shifted its strategy by turning their eyes to emerging markets in partnership with local telecom carriers. But when the overseas business also saw failure, Solid pulled out its smartphone business in May. Solid’s attempt to separate from Pantech accelerated this month. Earlier this month, Solid sold Pantech’s IoT business and technologies to local tech firm Woori-net. Now, Solid has completely taken its hand off Pantech’s business by selling the remaining patent business -- Pantech has around 3,000 patents -- to the special purpose company, K&A Holdings. ”Solid may have been in a difficult position due to Pantech’s huge debts. But, it is still sad to see small but strong tech players disappear in the local industry and only one or two conglomerates -- mainly Samsung -- dominate the market,” said Kim Jong-ki, a researcher specializing in the mobile industry at the Korea Institute for Industrial Economics & Trade. Solid said K&A Holdings will seek new business opportunities by hiring Pantech employees and capitalizing on its 3,000 patents. But, some industry watchers said K&A Holdings is likely to focus on selling the patents. Pantech started out in 1991 with six employees and 40 million won in capital and jumped into mobile phone business in 1997. It was once the nation‘s third largest mobile phone maker by acquiring Hynix Semciconductor’s mobile phone unit Hyundai Curitel in 2001 and SK Telecom-affiliated handset maker SK Teletech in 2005.